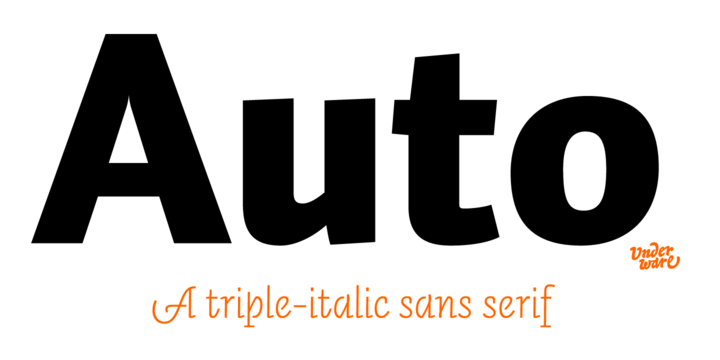 Auto Pro is a sans serif typeface created by Bas Jacobs together with Akim Helmling & Sami Kotemäki and published by Underware which come in three different styles of italics perfect to create a new typographic palette. The four weights and the three different figure styles goes well on typography projects, magazines, newsletters, office, signage etc. Also you’ll find a Latin Plus character set with a support for more than 200 languages. An humanist font that waiting to be explored! Note: Auto Pro is a trademark of Underware. A font description published on Wednesday, November 26th, 2014 in Akiem Helmling, Bas Jacobs, Fonts, Sami Kotemaki, Underware by Alexandra that has 3,658 views.